Most residents of Rose Valley (and a lot of visitors to Hedgerow) have noticed our award-winning Rose Valley Heritage Garden at the gate house on Old Mill Lane. But if you have only driven by, you are missing the best parts. 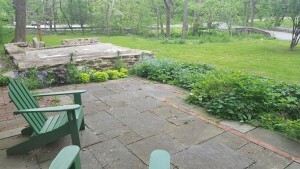 Despite the cold damp spring (or maybe because of it) the garden is glorious right now. 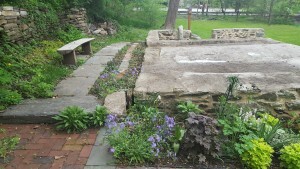 While it can always use a little weeding, the view from the patio is worth strolling up the steps to view. 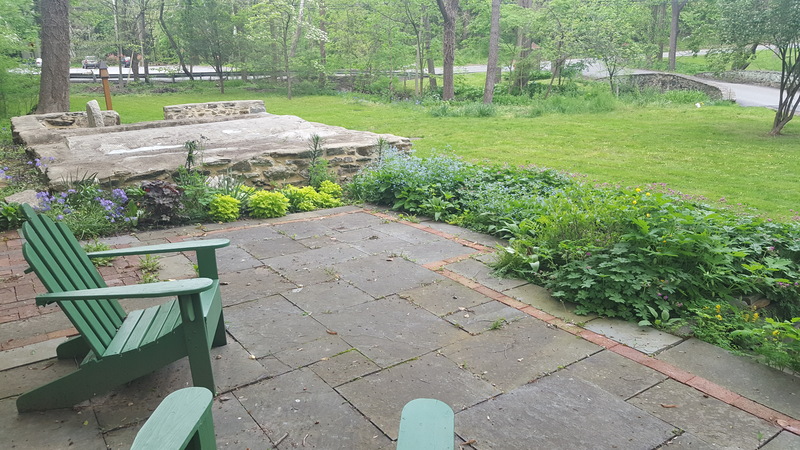 The RFCV thanks our dedicated designer and maintenance crew member Margery Howe for her continued efforts in making this one of the most beautiful spots in Rose Valley. 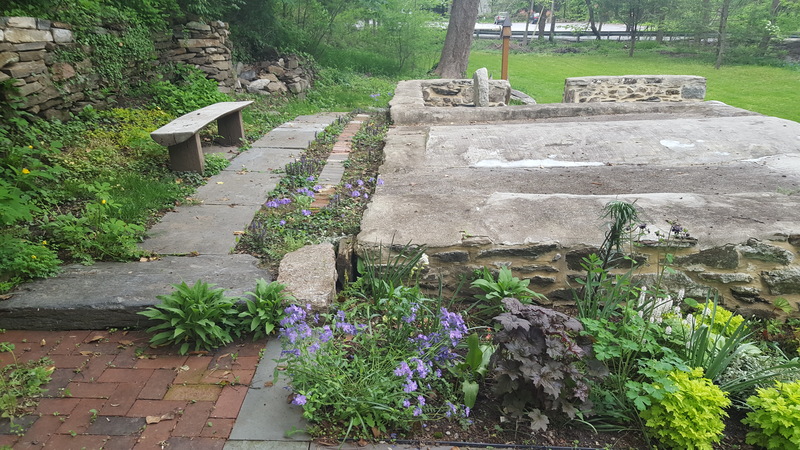 If you would be interested in signing on to join Margery and Bill and Gale Hale to help maintain the Heritage Garden, let us know at info@rosevalley100.org.